Can you use slices of zucchini instead of pasta sheets for lasagne? Yes, you can! 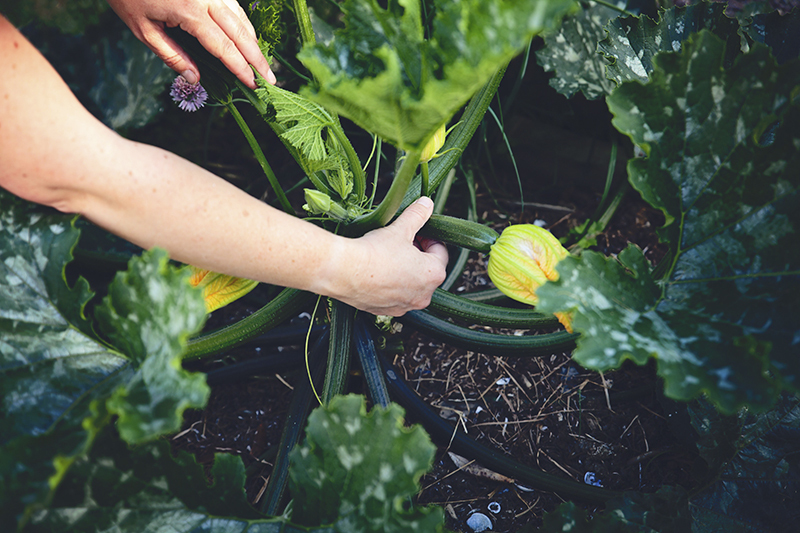 I tried to do this for the first time a week ago and am reporting back to you all… if like me you have an endless supply of zucchinis in your garden at the moment, this sounds like an excellent way of using them up (and it makes a gluten-free lasagne). The main thing you don’t want is soggy zucchini or lasagne. Whilst pasta soaks up moisture whilst cooking, zucchini does exactly the opposite and let’s moisture out whilst cooking, so the trick is to plan for this. Slice the zucchini thinly and sprinkle with salt (like with eggplant). The salt brings out excess water and you can mop it up before you start cooking. I sliced mine about 3-4mm thick with a sharp knife; you could use a mandolin too. Griddle both sides lightly (or quickly fry the zucchini slices on a very high heat) before using. Grilling or baking as a preparatory stage is to be avoided as this turned the zucchini to mush. Use a little less sauce as the extra moisture is not necessary. Make the meat sauce. Chop the onion and fry it up with the garlic clove and beef mince in a saucepan. When the onion looks translucent and the mince has started to brown, add the chopped carrot and celery, the tomato paste, a shake of Worchestershire Sauce, the tin of tomatoes and the beef stock. Bring to a slow bubble, and cook, stirring occasionally for 40 minutes or so. Whilst this is cooking, make half a pint of white sauce. Take the butter and melt in a small saucepan. Off the heat, add the flour and stir into the butter. Gradually pour over the warm milk, whisking to ensure there are no lumps. Season and add a large pinch of ground nutmeg. Return to the heat and whisk until it thickens. Slice the zucchini into thin slices length-wise and griddle on both sides. 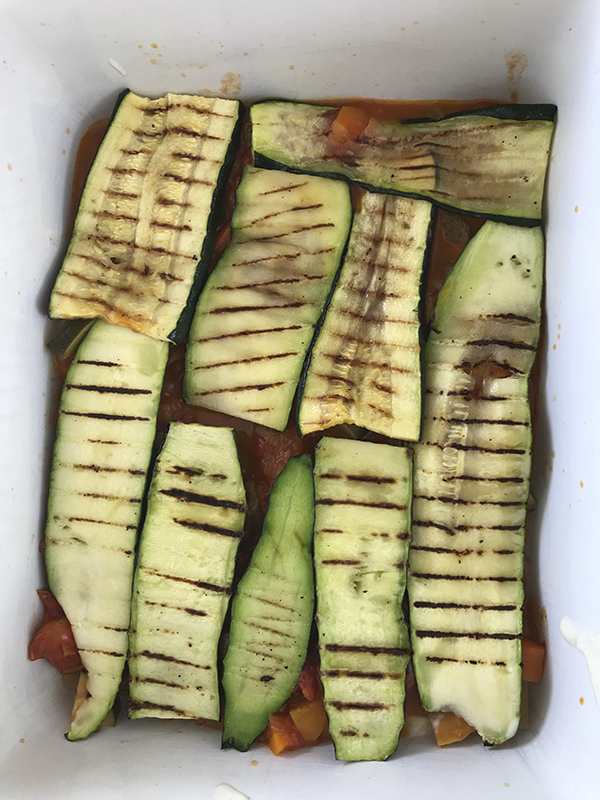 Layer the white sauce, meat sauce and griddled zucchini slices into an oven-proof dish, top with grated cheese and cook for 40 minutes at 190°C.